If you thought Slow Cookers or Crockpots were just for soups, stews and one pot meals, think again and make room for dessert ! Who can resist a hot chocolate pudding for dessert ? This delicious pudding comes in its own pool of sumptuous chocolate and Tia Maria sauce. It’s so easy to make with no need for a tin inside your slow cooker as the sauce keeps the sponge lovely and moist and prevents any chance of the sponge burning. It looks fab and will go down well with all your friends and really takes no effort at all. We shared this pudding with my sister and her family. I took my slow cooker to her house, whisked together the ingredients, added my frozen chocolate Tia Maria cubes, poured over the sauce and left the slow cooker to work its magic while we enjoyed the meal my sister had cooked. Spray the inside of your slow cooker pot with cooking spray or lightly grease. Melt the butter in a jug in the microwave for 30 seconds and leave to cool a little. Whisk milk and eggs into cooled melted butter. Pour onto the dry ingredients and briefly whisk until smooth – 1 to 2 minutes. 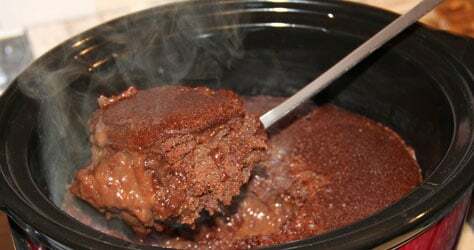 Pour the chocolate mixture into the greased slow cooker pot. 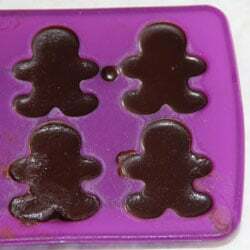 Place frozen chocolate cubes on top of chocolate mixture. Quickly mix the boiling water with cocoa powder, espresso powder, dark brown sugar and Tia Maria in a jug and pour over the pudding. Don’t worry if this recipe goes against how you may have cooked before – be patient, it works ! Put the slow cooker pot in place and cook on high for approximately 1 1/2 hours until firm and well risen. 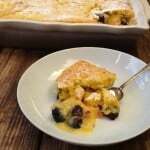 Served with fresh cream or ice cream, this pudding is truly irresistible. 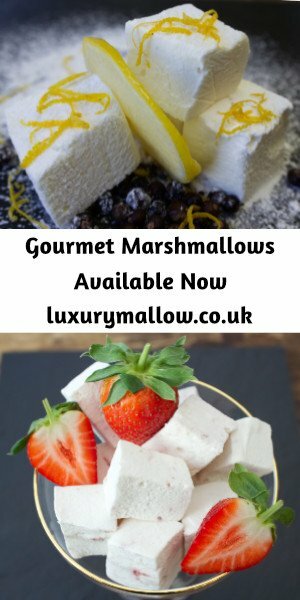 You can see further slow cooker recipes, including more desserts, in my latest ebook Slow Cooker Recipes. I’m entering this recipe into this month’s Slow Cooker Food Challenge over at Farmersgirl, hosted by Janice Pattie. 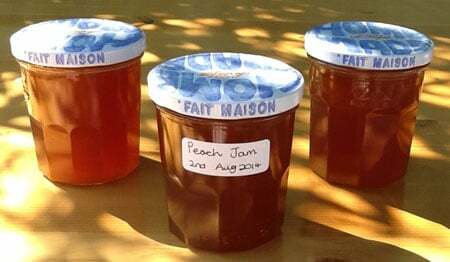 As this recipe was created for my sister and brother in law’s Pearl Wedding Anniversary, I’m also entering Four Season’s Food Challenge run by Louisa at Eat Your Veg and Anneli at Delicieux where the theme is ‘Food From The Heart’. Does using the ice cubes ensure there will be some molten sauce left? It does indeed 🙂 lots of lovely gooey molten chocolate. 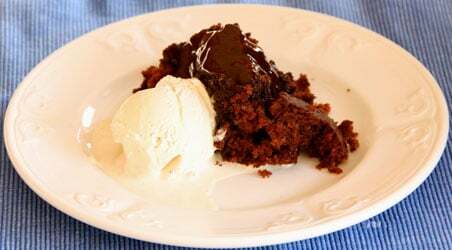 If you haven’t made anything sweet in your slow cooker yet, I reckon chocolate molten pudding is a good place to start. 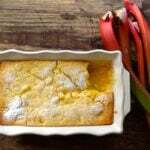 This is a very simple recipe and yet, it looks so delicious. Thank you for sharing it. How clever is that!! I love it! I am stealing it! It looks really good… Thanks for entering Four Seasons Food! I hadn’t even considered using my new slow cooker for a pud, but yours sounds positively dreamy! Shall be bookmarking. Thanks Louisa, hope enjoy making the pudding in you new slow cooker. What a fantastic idea…I would never have thought to use my slow cooker for puddings but from the looks of the above picture I cant resist giving this a good – it looks divine! Thanks, you won’t regret it, would love to hear your feedback.